I visited Wine & Chef at Keong Saik Road back in May 2017 when it first opened its door. 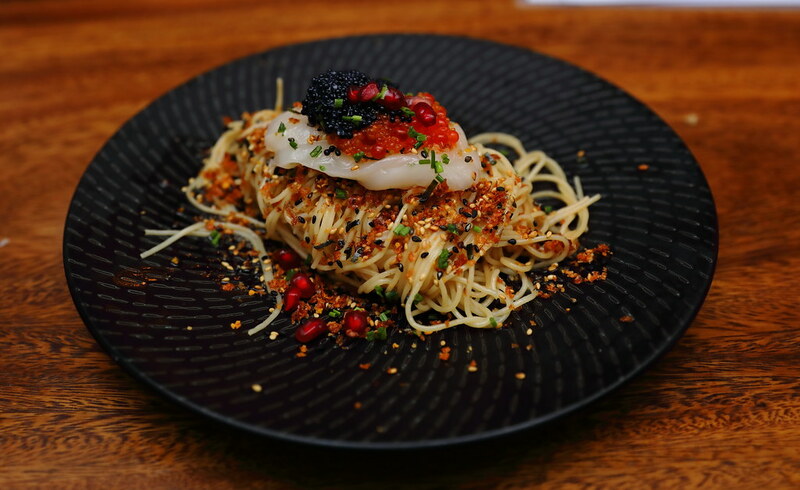 It is good to see that the restaurant continues to serve up Italian fare incorporating Asian ingredients to pair with their range of exclusive Italian boutique wine. My re-visit is to checkout their newly revamped menu put together by the new Chef Darence Wee, previously from Les Amis group. 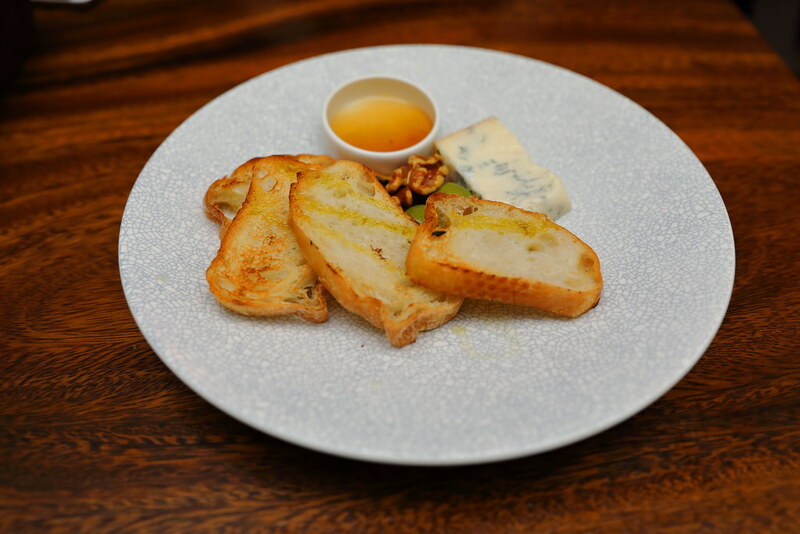 Before starting with the mains, you may want to order some small bites to nibble on such as the Gorgonzola & Italian Ciabatta ($9). I am not a big fan of blue cheese as I find them too sharp for my liking. However the gorgonzola, known as one of Italy's oldest blue cheese, did not turn out that piquant. You can also pair with the honey on the side, the sweetness definitely make it more palatable and enjoyable for me. 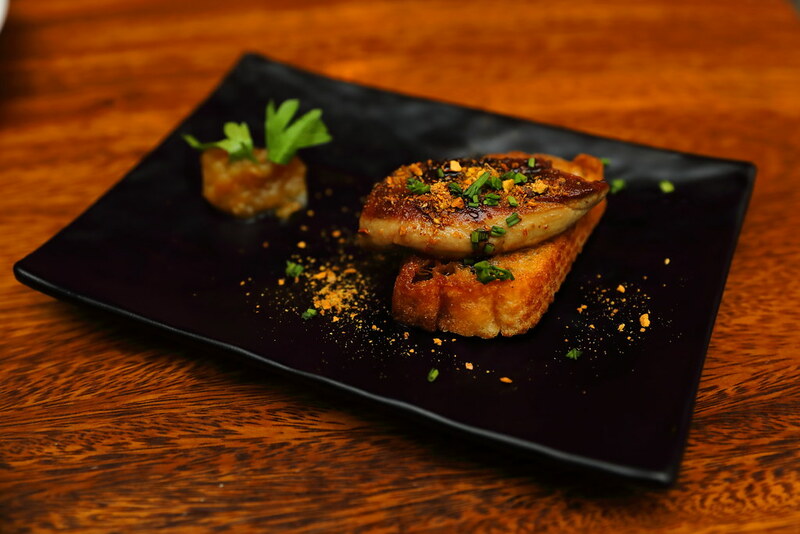 Pan Seared Foie Gras ($16) is quite a common dish on any restaurants' menu. What stood out is the homemade apple and thyme brandy compote that helps to cut through the richess of the fatty foie gras. Not to be missed is the Scallop Capellini ($28). The pasta tossed in truffle and soy sauce is served chilled so it is very refreshing. It comes with plump and sweet air-flown Hokkaido scallop crowned with ikura. What elevated the whole dish for is the fried shallots, shio kombu and furikake. They added fragrance, sweetness and crunch to complete the dish. 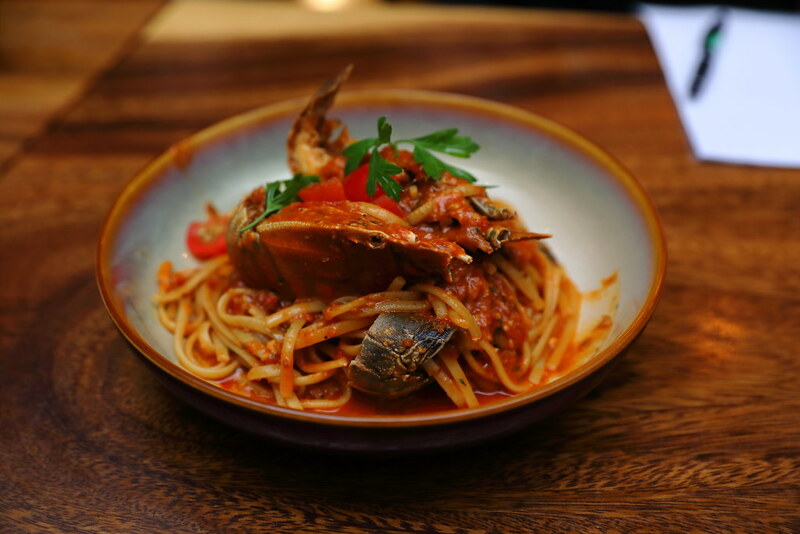 One of the crowd favourite is the Nduja Pasta ($28) with crayfish. The specially imported Nduja salami from Calabria, South Italy is tossed in tomato sauce for that sweet robust flavour, coating the pasta for the slurping goodness. 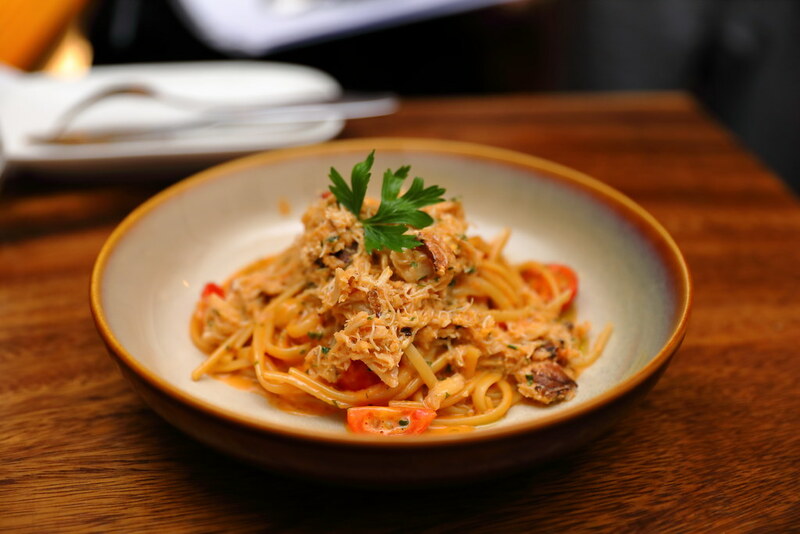 If you prefer your pasta to be more creamy and has that seafood flavour, then go for the Linguine al Granchio ($38). It comes with painstakingly freshly hand-peeled Sri Lankan crabs. The Chef even added crab roe into it, for that extra indulgence. My favourite dish goes to the Pork Roulade ($24). 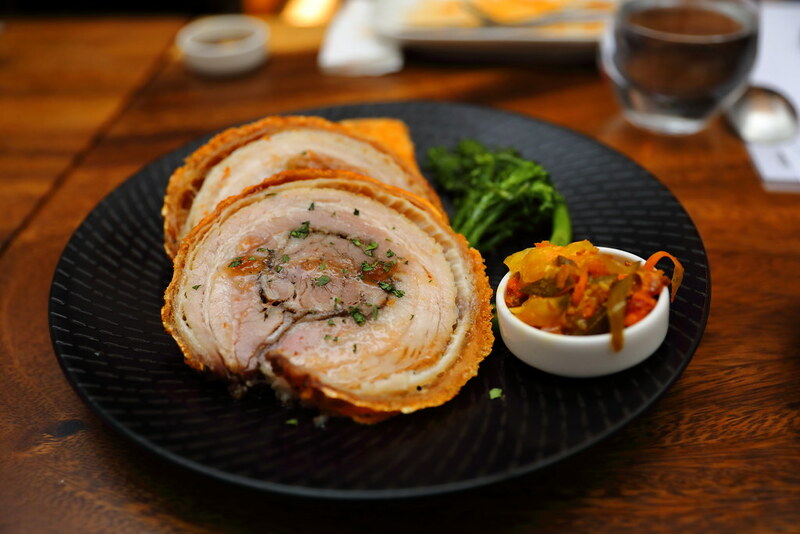 The pork roulade comes with a crispy layer of crackling skin, with tender and juicy meat. It is smartly paired with homemade achar to cut through that richness. Do call to make reservation for this as only limited portions are available each day. Same same but different is the Venere Rice Pudding ($10). This is the same dessert which I tried during my first visit. 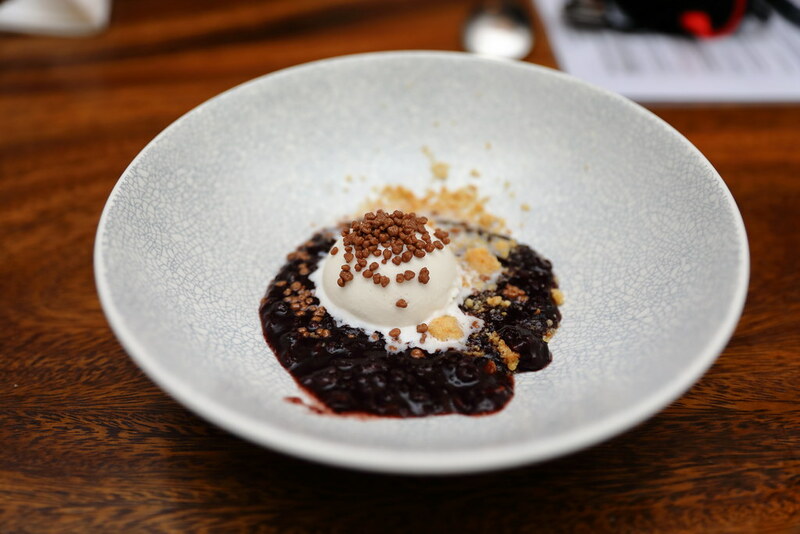 It is a modern twist to the traditional pulut hitam served with vanilla bean ice cream and coconut crumble for a cold and crunchy finish. The difference is the popping candies that is mixed into the desert, giving diners the popping reaction as it dissolved in the mouth. As this is my re-visit, I did notice some changes. Although the food is still as good, the price has increased. It is not a surprise with increasing ingredients cost and inflation. Proud to be serving the lowest house pour at $7 a glass, it used to be $6. The wine collection has also shrunk from the previous 250 to around 140 exclusive Italian wines now.